Source briefed on investigation of Saudi journalist's murder provides details on transcript of audio recording of his death. "I can't breathe" were the final words uttered by Saudi journalist Jamal Khashoggi after he was set upon by a Saudi hit squad at the country's consulate in Istanbul, a source briefed on the investigation into his killing told CNN on Sunday. He repeatedly says, "I can't breathe". 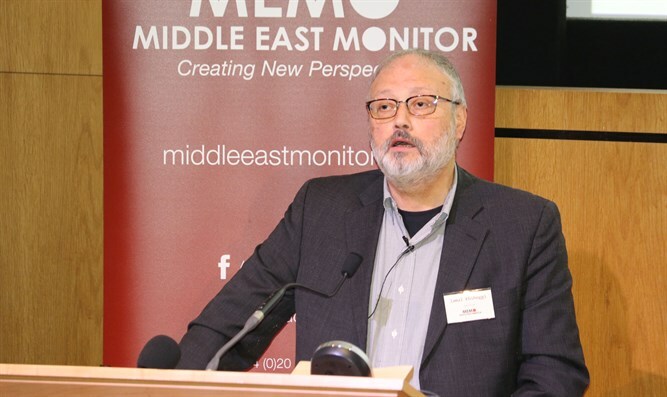 The transcript notes the sounds of Khashoggi's body being dismembered by a saw, as the alleged perpetrators are advised to listen to music to block out the sound. According to the source, the transcript suggests that a series of phone calls are made, briefing them on progress. Turkish officials believe the calls were made to senior figures in Riyadh. Some of the details in the transcript seen by CNN's source have emerged in previous reports of the recording's content, but Sunday’s report is the fullest account of the transcript that has so far been published. The original transcript of the audio was prepared by Turkish intelligence services. Turkish officials have never said how they obtained the audio. The transcript would have been translated before it was shared with other intelligence services. CNN's source read a translated version and has been briefed on the investigation. CNN asked Saudi officials to comment on the contents of the transcript as described by the source, and to provide comment from those named in it. A Saudi official said, "The relevant Saudi security officials have reviewed the transcript and tape materials through Turkish security channels and nowhere in them is there any reference or indication of a call being made." "If there is additional information Turkish authorities have that we are unaware of, we would welcome it being officially handed over to us for review, which we have requested numerous times and are still requesting. And, up until now; we have not received anything." The official did not address the transcript's characterization of the scene inside the Saudi consulate, nor Khashoggi's last words. According to CNN's source, one of the voices identified in the transcript belong to Maher Abdulaziz Mutreb, a former Saudi diplomat and intelligence official working for the Saudi Crown Prince. One of those voices is identified on the transcript by Turkish authorities as belonging to Dr. Salah Muhammad al-Tubaiqi, the head of forensic medicine at Saudi Arabia's Interior Ministry, the source says. While the transcript provides no smoking gun directly tying the Crown Prince to the killing, it seems to echo Senator Lindsey Graham's sentiments after hearing the CIA's assessment of Khashoggi's killing. Graham, who was among a group of senators to receive a classified briefing on the Khashoggi case, said last week he agreed with the conclusions of the US security services that bin Salman was implicated in the case. "There's not a smoking gun, there's a smoking saw," he said.